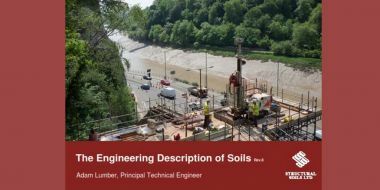 Please find below a link to our new Structural Soils grab pack showcasing our latest service offering. 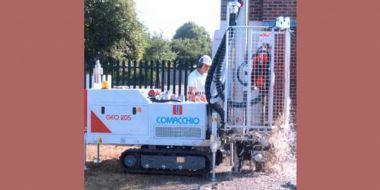 Ground investigation and testing services. 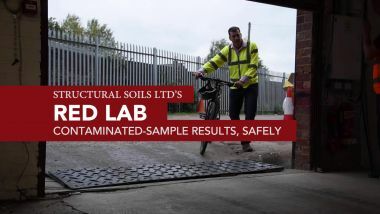 We are very pleased to announce the launch of our UKAS accredited 'Red' soil and material testing laboratory. 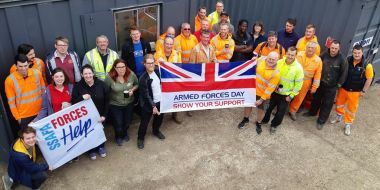 Structural Soils was proud to support the SSAFA Essex Armed Forces charity by holding a ‘Big Brew’ event at their site in Bradwell, UK. The ‘Big Brew’ fundraising events, which take place across the year, help to raise vital funds to provide lifelong support to the Armed Forces and their families. 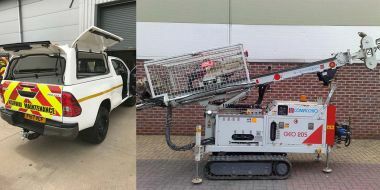 Drillers from site investigation services contractor Structural Soils and one of its larger drilling rigs came to the aid of DIY SOS’s most challenging build to date for the Roots Foundation Wales. The Roots Foundation Wales is a volunteer led charity based in Swansea, which aims to support young people in care, care leavers, children in need and adults who have left care with the transition period of independent living. DIY SOS are demolishing the existing run-down structure and building a new, purpose-built structure in September 2017. 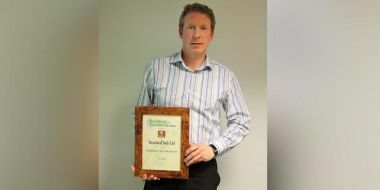 Structual Soils, an RSK company, has been named Company of the Year by Building and Facilities News, a leading publication for the UK building and facilities management sectors. 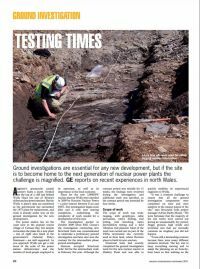 The esteemed award was given “in light of [Structural Soils’] consistently excellent ground investigation services,” an article in the publication explains. 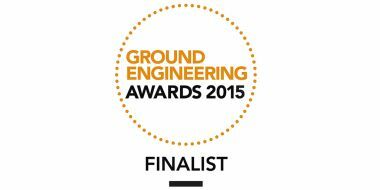 RSK and Structural Soils have been shortlisted an impressive six times at the Ground Engineering Awards. 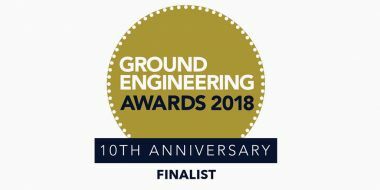 Structural Soils, an RSK company, has been named a finalist in the Award for Technical Excellence, Ground Investigation Specialist of the Year and UK Project with a Geotechnical Value of between £1M and £3M categories, and on two occasions for Ground Investigation Project of the Year. Structural Soils staff were on the judging panel for the western regional heat of the 2018 National Schools Geology Challenge. The competition was hosted by Wells Cathedral School on 22 February. 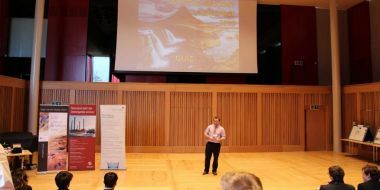 Four teams of young geologists from across the region each prepared a poster and a five-minute presentation entitled ‘The Geology of an iPad’. A new website for a new year! 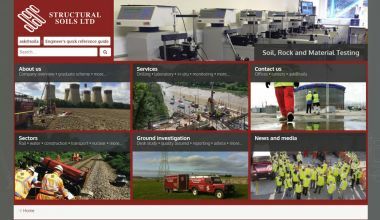 Structural Soils are delighted to launch our new corporate website to welcome in 2018! The new website is fully configured for use on your mobile, tablet or desktop with a clean and modern design which operates just as well via touch or mouse. 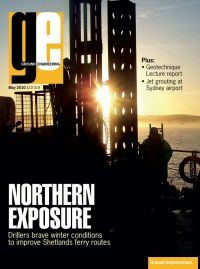 The new website is jam packed with brand new content that describes our rapidly growing service and sector offerings. Understanding how female industry leaders got to where they are can help the rest of the sector gain insight that is key to improving the appeal of a construction career to other women. 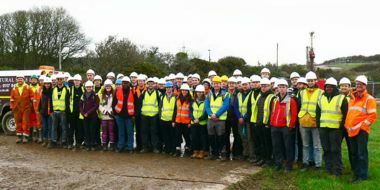 On 8 November Structural Soils hosted 50 MSc Engineering Geology Students and two of their course leaders from Leeds University on site at Wylfa. 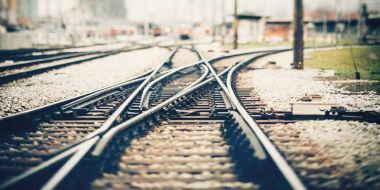 Structural Soils, an RSK company, is delighted to invite you to the launch of its new integrated site investigation services for the rail industry: RAIL SI and RAIL SI+PLUS. 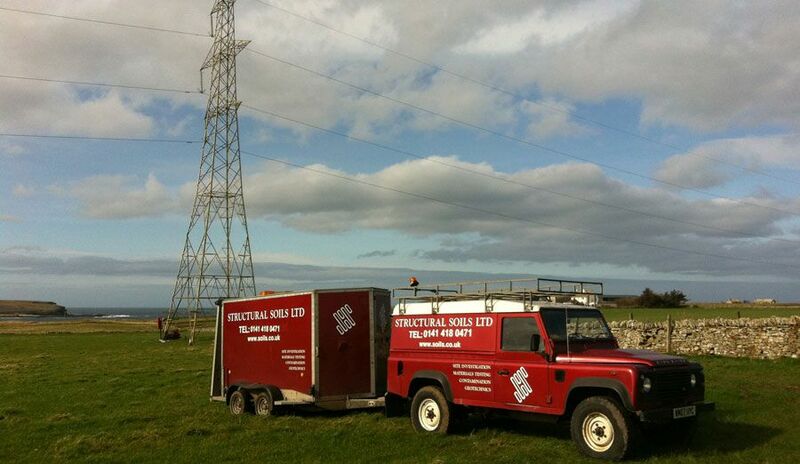 Dynamic Sampling has recently started a four-month project for sister company Structural Soils at the Wylfa Newydd nuclear power station on the Isle of Anglesey in North Wales, UK. 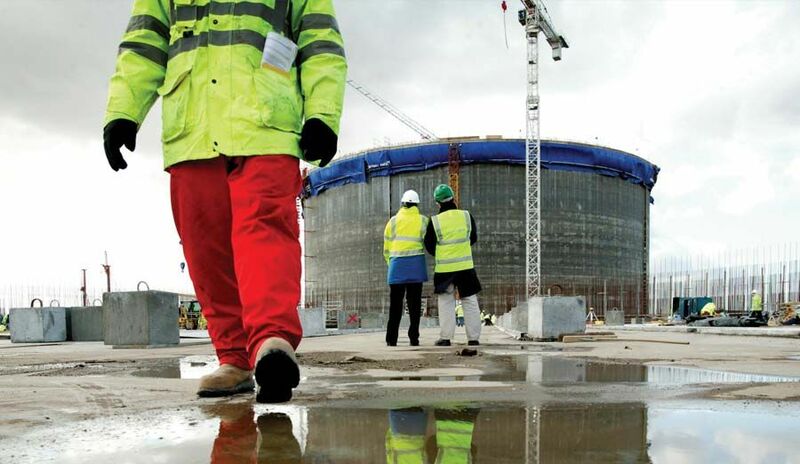 The Wylfa Newydd project, run by Horizon Nuclear Power, hopes to develop low-carbon nuclear power production and see the first electricity generation at the power station by the mid-2020s. 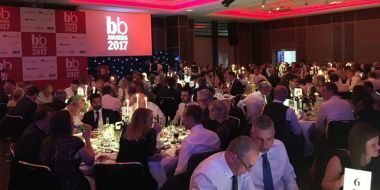 On 28 September, the Structural Soils and Envirolab sales teams had a busy day, attending both the Contamination Expo Series 2017 and the Brownfield Briefing Awards 2017. The Contamination Expo Series is a collaborative event of six insightful seminars on areas such as land remediation and spill response. 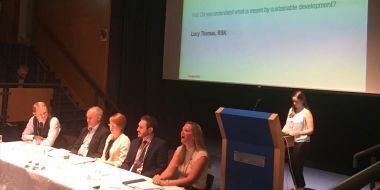 RSK’s latest Knowledge Share event has been declared a success after 50 clients joined RSK staff and guest panellists at Thinktank, Birmingham Science Museum. 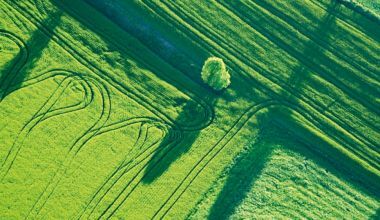 ‘New insights into land development: Maximising returns and minimising risks’ brought together industry leaders to examine key issues facing land development. 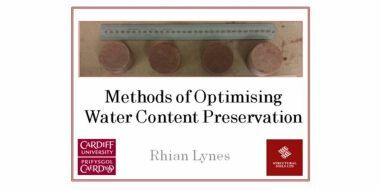 Held on 26 September, the CPD-accredited event was free to attend. 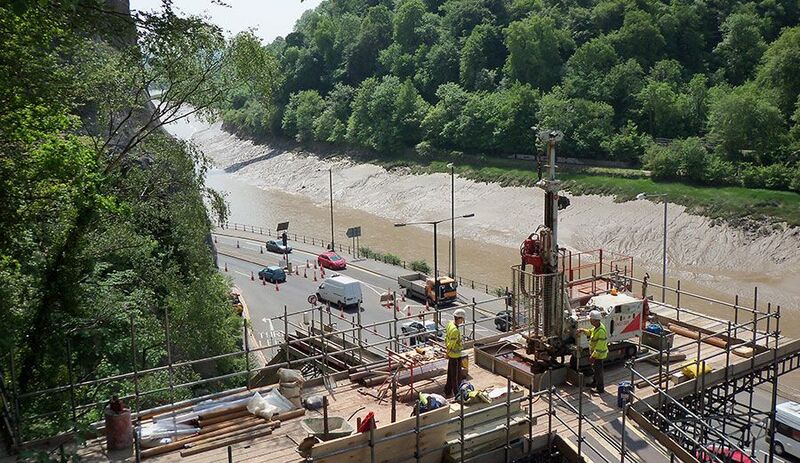 Our client commendation of the month for August goes to the Structural Soils team working on the Cowley Bridge flood culvert ground investigation in Exeter, UK. 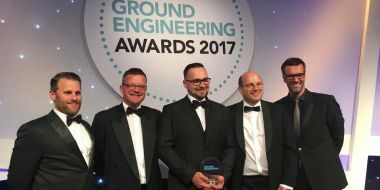 Last night, Structural Soils won two awards at the 2017 Ground Engineering Awards: Ground Investigation Project with a Geotechnical Value of over £500k, and the Health and Safety Award. 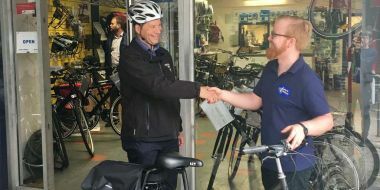 At the Structural Soils office in Bristol, UK, employees have adopted a local green transport initiative to encourage sustainable work-related travel. Since RSK acquired Dynamic Sampling in April 2016, the team has been busy with plenty of project work, new staff and equipment, and gaining accreditation. 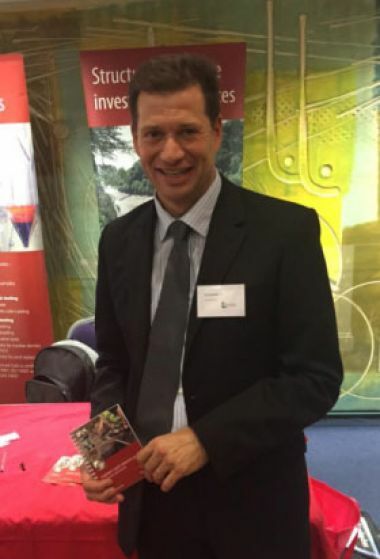 Intrigued to hear what the last year has involved for the Derby-headquartered drilling business, e-confidential caught up with managing director Petar Stanojevic. 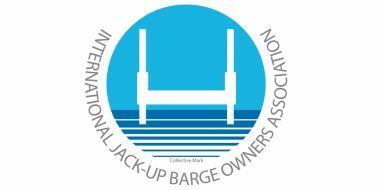 Structural Soils has achieved fully accredited status with IJUBOA as a jack-up barge owner and operator. 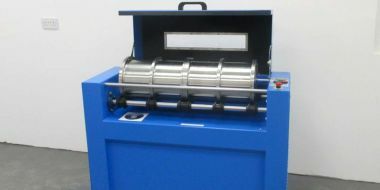 We have been enhancing our in-house laboratory testing capabilities through employee training and the acquisition of new specialist equipment. 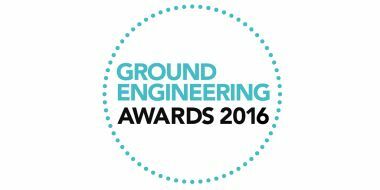 Structural Soils has been recognised again in the Ground Investigation Project of the Year category at the 2016 Ground Engineering Awards. We are pleased to announce after our recent audit that our approved status under the Achilles Rail Industry Supplier Qualification Scheme has been maintained and our rating has been upgraded. 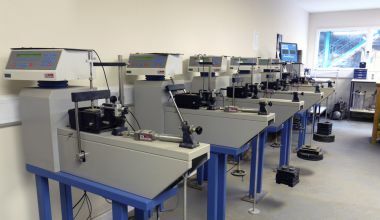 We are pleased to announce we have opened our 4th geotechnical laboratory in the UK. This lab is in addition to our laboratories in Castleford, Bristol and Hemel Hempstead and will increase our capability in the South East. 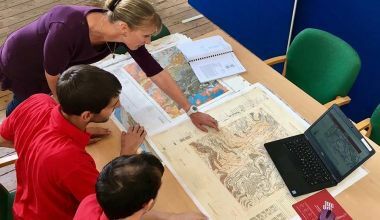 Rhian Lynes, a graduate geotechnical engineer with Structural Soils, took part in a Regional Group heat for the Geological Society’s Early Career Geologist Award. Structural Soils has just delivered the first of this year's in-house BS 5930 (2015) Soil Description training courses. Employees from all Bristol office locations attended a safety stand down (briefing) this morning. The focus of the stand down was on preventing hand injuries. Structural Soils’ Justin Barrett (Director) and Eric Downey (Senior Engineering Geologist) attended the AGS Quality Results Seminar yesterday. 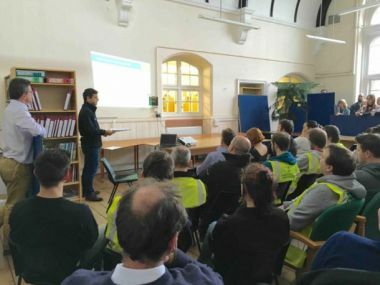 Employees at the Structural Soils Bristol office have attended a bespoke, two-hour spills training course which has been newly developed, by environmental consultant Paula Collins and the RSK environmental, health and safety (EHS) team. 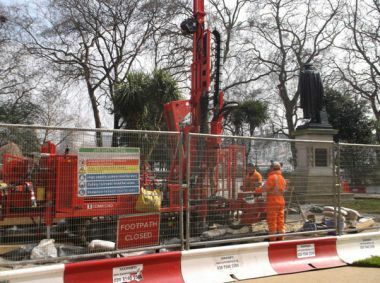 50 of Structural Soils’ staff now hold Thames Water Safety Passports, enabling them to work on Thames Water projects – engineers, drillers, technicians and more. 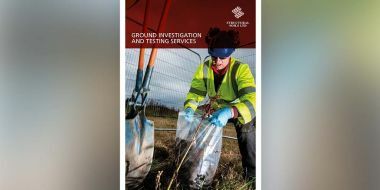 Structural Soils were present to hear Dr. David Norbury tell a packed audience that the new 2015 edition of BS 5930 Code of practice for ground investigations is expected to be finalised this week and issued by the British Standards Institute (BSI) by the end of July. 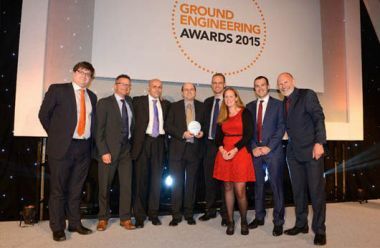 On 10 June, Structural Soils won Ground Investigation Project of the Year at the Ground Engineering Awards 2015. 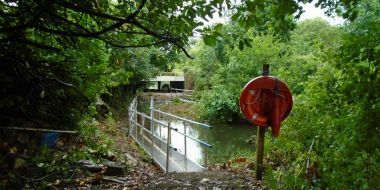 In the three months since Christmas Structural Soils (SSL) have been awarded over £0.5M of work by Thames Water Utilities Limited (TWUL) or Tier 1 contractors working on their behalf. We are proud to announce we have been shortlisted as a finalist in the prestigious GE Awards to be held in June this year. 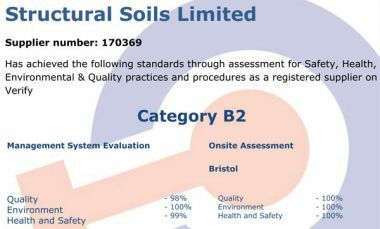 Stand-alone accreditation for Structural Soils. 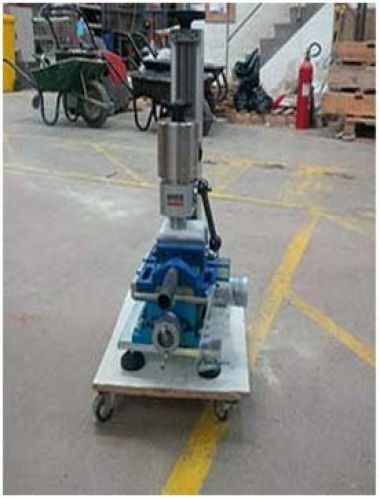 In 2014 Structural Soils spent 10 months on site undertaking a detailed onshore ground investigation for Horizon Nuclear Power. 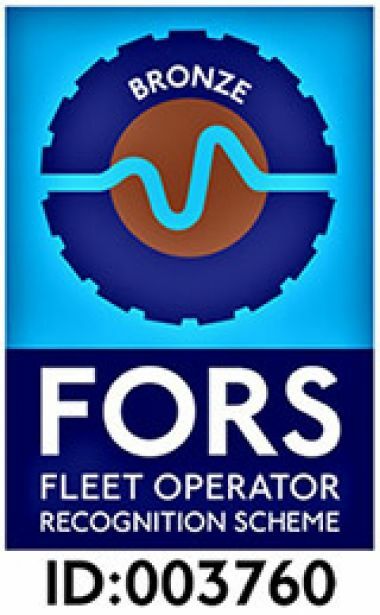 Structural Soils has been awarded FORS bronze status for our business fleet of fleet of vans, landrovers, trailers and other specialist 4WD vehicles. 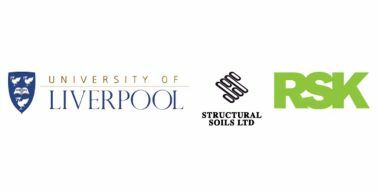 Liverpool University is delighted to invite RSK’s award-winning ground investigation experts to give a free seminar on the latest developments in geophysical technologies and techniques, and their use in state-of-the-art ground investigations. 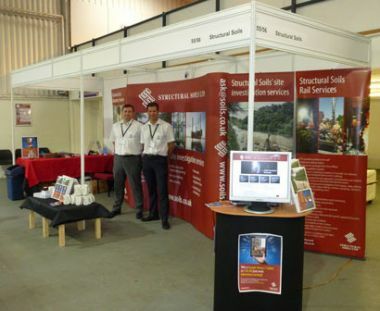 Structural Soils exhibit at Geotechnica 2013.
ice lecture at Bristol University by Adam Lumber. 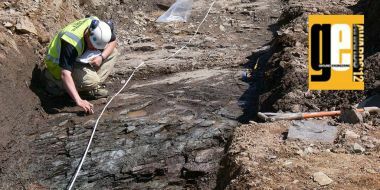 Structural Soils continues to ensure that benchmark assessment standards are applied to the business, via external accreditations, audits and certifications. 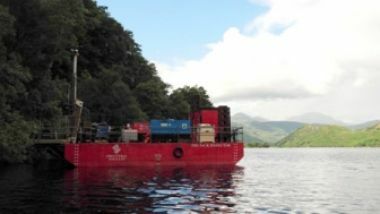 Structural Soils has recently finished a 3rd phase of site investigation works on the A82 at Pulpit Rock on the banks of Loch Lomond. 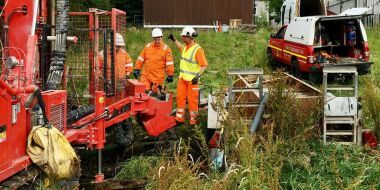 Structural Soils is committed to ensuring that all waste segregation is disposed of in a legally compliant manner and where possible. The Mersey Gateway Project is a major scheme to build a new six lane toll bridge over the Mersey between the towns of Runcorn and Widnes that will relieve the congested and ageing Silver Jubilee Bridge. 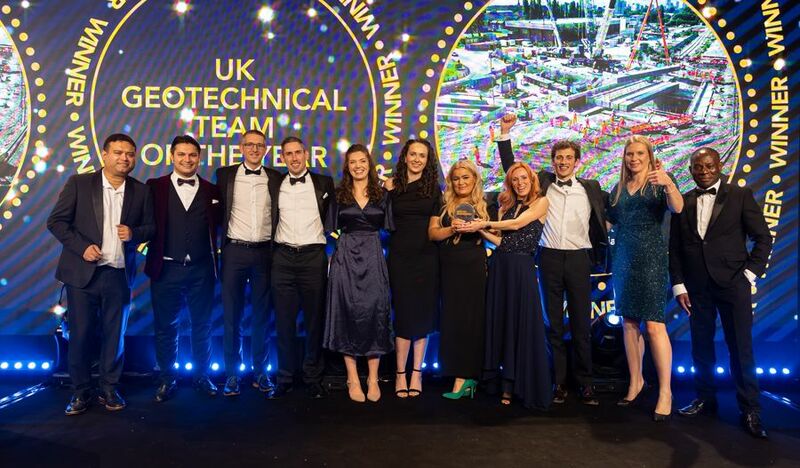 Structural Soils is extremely proud that our entry of the intermediate onshore ground investigation for the Wylfa new-build nuclear reactor (Anglesey, UK), in the 'UK Project with a Geotechnical Value over £1M' category at the 2012 Ground Engineering Awards was HIGHLY COMMENDED. 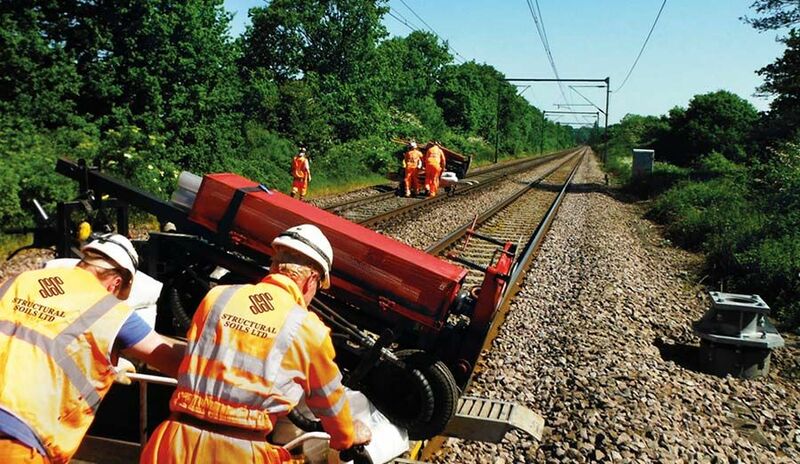 Structural Soils are a Silver Partner for the London Rail conference. Join us by booking your place today using our unique discount code, saving you up to £350 off the late rate! 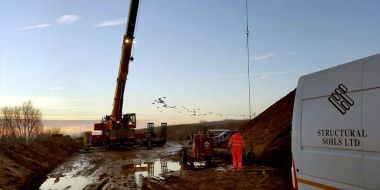 Structural Soils is working with various clients on projects to harness renewable and free energy from many sources. 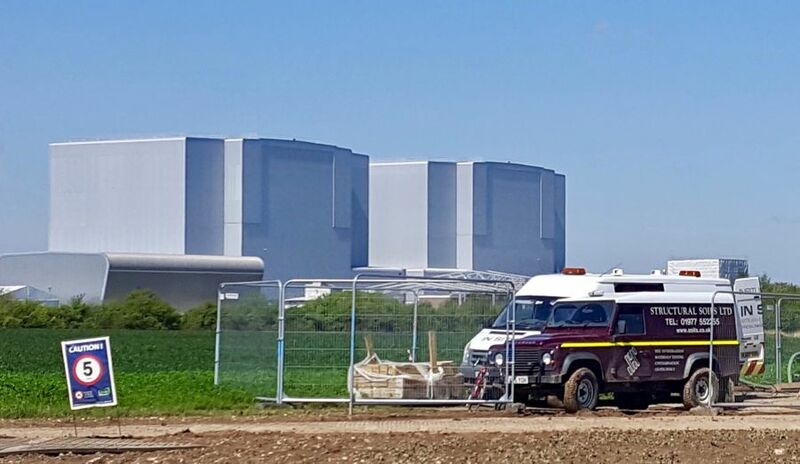 To help meet the UK's future low-carbon energy needs, EDF Energy is exploring the potential for building a new nuclear power station directly west of the operational Hinkley Point B facility. 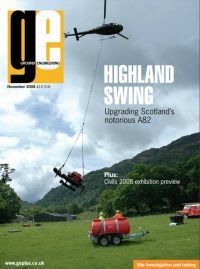 In April 2008 RSK Group's site investigation contractor, Structural Soils, was commissioned by Transport Scotland to help assess three options to alleviate traffic on the A82 near Pulpit Rock, Loch Lomond. RSK Group head office - Spring Lodge, 172 Chester Road, Helsby, WA6 0AR, UK. Tel: +44 (0)1928 726 006. © 1964 - 2018 Structural Soils Ltd.